The archaeological site of Kourion, the Temple of Apollo and a relaxing stroll around the characteristic village of Omodos made even more enjoyable by a visit to an Orthodox monastery: archaeology and history are key terms on this excursion. 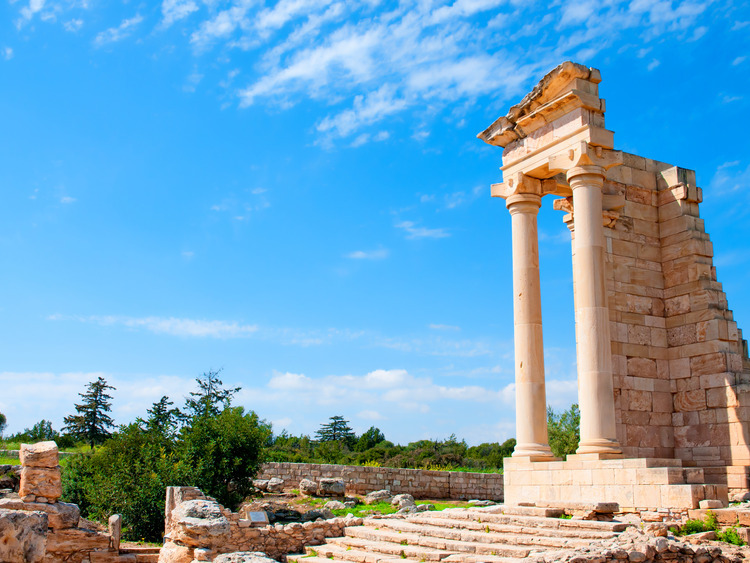 Bypassing a sweep of orange groves, which continue as far as the eye can see, the first stop on this trip takes us to Kourion, an ancient city-state where some of the island's most important historic vestiges can be found. Within the archaeological site, we will visit the thermal spas, the evocative Roman theatre, restored to its ancient splendour by careful restoration, and the superb mosaic flooring of the house of Eustolios which dates back to the 2nd century AC. After a short journey on the bus, a short distance from the main archaeological site, we will arrive at the majestic Temple of Apollo Hylates, the God of woodland, protector of the city of Kourion. The final destination on this day dedicated to art and tradition is the picturesque village of Omodos, located amongst the heights of the Troodos Mountains, a typical, quiet mountain location. Here we will visit the Orthodox Monastery of the Holy Cross, where, according to tradition, a piece of the rope used to tie Jesus Christ to the cross is kept. We also have some free time to walk along the pebble alleyways and browse the local stores where it is possible to find high quality lace and traditional glass items.